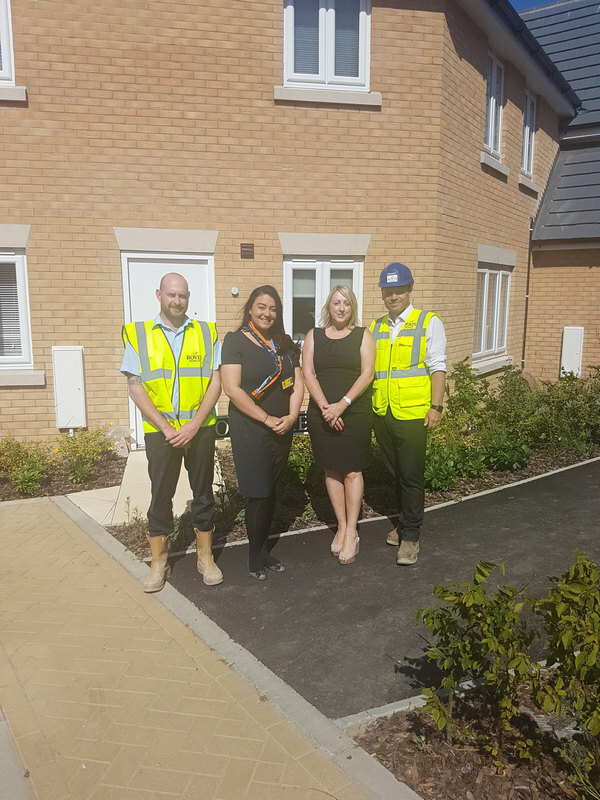 “When I decided I wanted to buy an investment property close to where I live in Costessey, I knew first-hand what was happening at Woodland Park, and seeing happy customers moving in every day, it made sense to look there first, ” says Lorraine. For Michael, this was to be his first homebuying experience, and being a key part of the team building at Woodland Park, he didn't hesitate to follow his mum's lead. “It was a really simple process for us,” says Lorraine. “Both Michael and I were very familiar with the homes being built at Woodland Park and even though we had different requirements, the sales team, and in particular Olivia, were amazing. Both purchased a 'Dekker' two-bedroom apartment, with Michael, who also took advantage of the Government's Help to Buy scheme, reserving the home below his mum's. Having lived in the area for a number of years, Lorraine also knows all about the benefits of Costessey as place to live. “It's the best of both worlds here. We're just outside Norwich city centre, with great transport links north and south, but also in touching distance of the wonderful Norfolk countryside,” she explains.